Fabricio Suarez participated in Ancien Régime: the pre-revolutionary world in Fall 2018 at Village West. Suarez's moody paintings search for melancholy and mystery in the landscape. Using a mix of bold and expressionist brushstrokes with fine detail, a sort of Abstract Baroque, the subjects become visually ambiguous with flashes of surrealism. Kind of like putting together Titian and Miro or Richter in a blender. 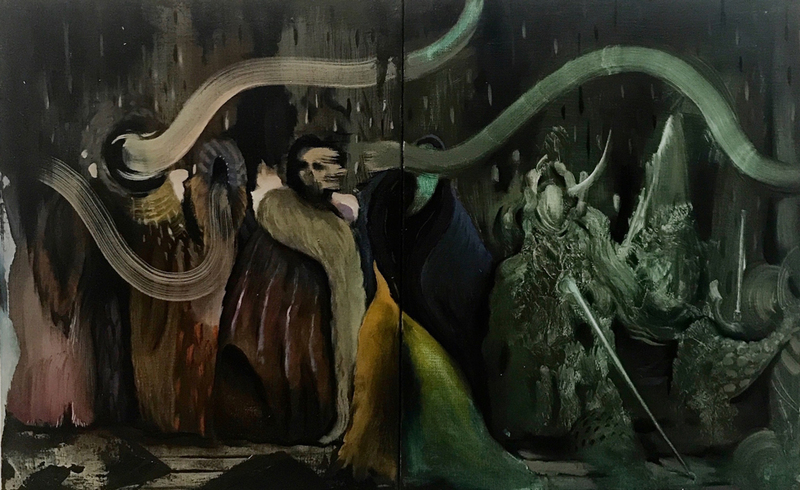 The narratives then form organically but stem from Suarez's major influences, which range from Old Masters to modern abstract expressionists to street art. More information on Suarez and his work can be found at fabriciosuarez.com.